Just north of Downtown, Mid City is packed with shopping centers, restaurants, world-class medical facilities, fitness centers, city parks and a public golf course, plus pockets of surprisingly quiet and tranquil neighborhoods of homes and condominiums. 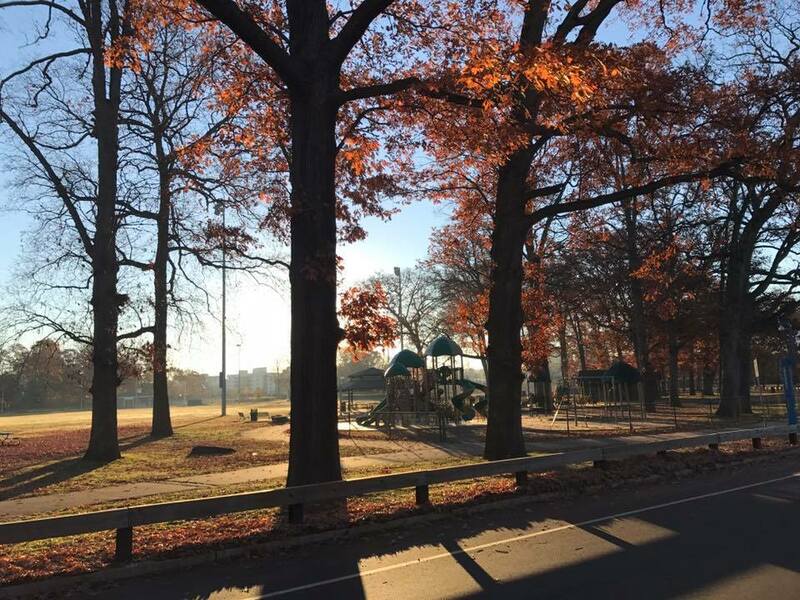 Scalzi Park is a local treasure, comprised of 48 acres and featuring tennis, basketball and volleyball courts, athletic fields, running and walking trails, a splash pad for children, playground, skate rink and a bocce ball arena, and for more daring, a zip line and climbing tower. There are also picnic and BBQ areas and Cubeta Stadium-home to many championship Babe Ruth games. Right around the corner is the public E. Gaynor Brennan 18 hole golf course which also offers great sledding hills! Ultimate Luxury@ New Price! Sophisticated Duplex Penthouse wrapped in floor-to-ceiling glass so you can enjoy sweeping panoramic vistas of sky, parks, water, sunsets & city views from every room ...some all the way to the NYC skyline! Located on the 34th & 35th floors, connected by a graceful marble staircase, the 2-levels of public & pvt rooms boast high ceilings, custom LED rcsd lighting, Mecho motorized shades wide board floors & the perfect open floor plan. The 35th-flr offers impressive entertaining and easy living in the dynamic Great room w/fireplace, open dining rm & gourmet eat-in kitchen. Great rm is embraced on 2-sides by window walls+sliding glass out to sweeping wrap terrace w/double aspect views. Great rm flows into airy dining rm w/wonderful views and DR's open to chef's EIK filled w/Viking stainless appliances/gas range+very lg center island/brkfst bar. Bedrm level does not disappoint w/wonderful amenities+WOW views! Master suite has pvt terrace, sumptuous Carrara marble bathrm w/double sinks, jetted tub, separate shower & beautifully outfitted double WI closet. 2-add'l BRs w/ensuite marble baths. This full-service building has 24/7-concierge, security+valet parking (parking is $200/mo per car). State-of-the-art fitness center, indoor salt water pool, screening rm, billiards, lounge and 36th flr roof top terrace when you want to mingle. There's shuttle service to the RR station, although it's likely you'll never want to leave your incomparable home in the sky! Brand New Construction in the heart of downtown Stamford! 2 Very Chic Single Homes on 1 Lot!, Both Three Bedroom Units one on 2 levels beautifully appointed with 2.5 baths the 2nd home is a simplex all on one level with 2 full baths & w/ Vaulted Ceilings, Modern Open Floor Plan on both , Bamboo Floors thru-out, State of the Art Living Spaces/Gourmet Kitchen! Luxury Samsung Stainless Steel Gas Range, Microwave, Refrigerator/Freezer, Dishwasher, Washer/Dryer! Quartz counter tops, Sleek Ultra-Modern Grey Custom Cabinetry with Brushed Stainless Steel Hardware and Designer Lighting Fixtures! Designer Subway Tiles in the Bath With Custom Vanity With Quartz Vanity Top! Recessed Lighting & Designer fixtures in Brushed Stainless Steel! Hi Efficiency Natural Gas HVAC systems, Each with Individual Yards for entertaining and Grilling! Very quiet and nestled near many tall mature trees! One-of-a-Kind Live in One & Rent Out The Other!, Beautifully Appointed, Close to Shops and Restaurants! Total Gross Rent $73,800/year very low expenses too! NOI of $56,034! This property sits in less then a block to the new mill river park, Unconn, Target, Library, Movie Theaters, Restaurants, the Mall, minutes to Stamford Hospital, (get the picture) walk to the night life downtown Stamford has to offer without having to drive. Long term tenants, rents below market, Plenty off street parking for tenants and visitors. Same tenants for over 5 years. Seller is ready to move on and wants new owner to enjoy the profits. Listed by and of Sharon Giglio Luxury R. E.
Move right into this beautifully redone 6-bedroom Colonial in the historic Revonah neighborhood, just a short walk from downtown Stamford! The entire home has been re-done from 2013 to 2016, combining the charm of a traditional Colonial with all of the modern amenities. The completely updated eat-in kitchen includes a breakfast bar, stainless steel appliances, marble countertops, and plenty of storage. It opens to a spacious deck in the backyard. The living room offers a fireplace, ample built-in cabinet space, and sits adjacent to a tranquil sunroom with lots of light. On the upper level, the luxurious master suite with a balcony features a full bathroom with radiant heated floors, a double sink, marble flooring, a soaking tub, and a large shower. In addition to the 4 bedrooms on the upper level, the finished 3rd floor offers 2 additional bedrooms with wall-to-wall carpet, a full bath, a cedar closet, and storage space in the eaves. Don't miss this exciting opportunity! This home is waiting for you to move right in and unpack your bags! Attention investors very large 3 family house, with all three bedroom units in very good condition, 1st and 3rd floor renovated with new floors. New gas stove on the first floor unit and all new hot-water heaters. All separate utilities. Owner pays for water and sewer only. Three car garage plus plenty of parking space in the backyard. Fully rented with long term tenants. Great location with walking distance to metro north, hospital, restaurants and everything that matters in stamford. *this multifamily house has an 8% cap rate* not very common in stamford. Must see! Fabulous views and price! Stunning new wood floors ! Relish in ultimate luxury at trump parc in the heart of downtown. Exceptional 3 bedroom penthouse corner condo with incredible sunset views and rolling hills from 27th flr. New wood floors! Sophisticated gourmet kitchen with white marble counters. Stainless steel appl., glittering glass pendant lights . Elegant bright living rm with wall of glass expands to 3rd bed/office/den. Spacious 3brs each with en-suite baths. Unparalleled amenities: trump parc offers: 24/7 concierge, doorman, shuttle to train, pool, rooftop lounge, fitness, movie theater, more+. Valet car (monthly fee). ~modern living! THIS HOME HAS IT ALL!! Enchanting 4 bedroom 2.5 bath colonial nestled on a quiet cul-de-sac. The best mid-city location just minutes to Metro North, I-95, Merritt Parkway and the vibrant downtown area. Beautifully updated and meticulously maintained inside and out. Distinctive floor plan with great flow perfectly suited for entertaining. Live in style with the spotless hardwood floors, freshly painted walls, and high-end crown moulding. Enjoy gourmet meals in the large eat in kitchen with stainless steel appliances and granite countertops. Family room with brick fireplace is off the kitchen and has a surround sound entertainment system. Lots of storage in back hall utility room and attached two car garage. Sip a cool drink on the flagstone patio, or toast marshmallows over the new stone fire pit in the lovely level fenced yard with luxurious plantings.